This year’s All Saints Day celebration singled out Sister Mary Richard Mehelich who has ministered for 70 years as a consecrated religious. The Most Rev. 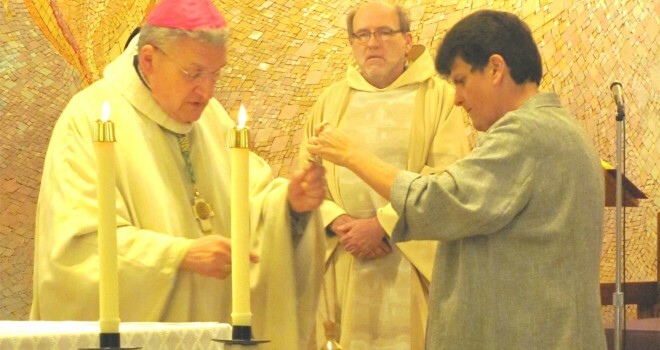 David A. Zubik celebrated the community’s Feast Day Eucharistic Liturgy which was concelebrated by Rev. David Moczulski, OFM. Following a lovely dinner, the community gathered in the Motherhouse chapel to honor our deceased Sisters with a special prayer service. After each bead of the rosary was prayed, the name of a deceased Sister was announced. 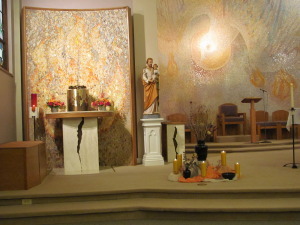 At the conclusion of each decade, a candle was placed in a beautiful setting in the front of the chapel. 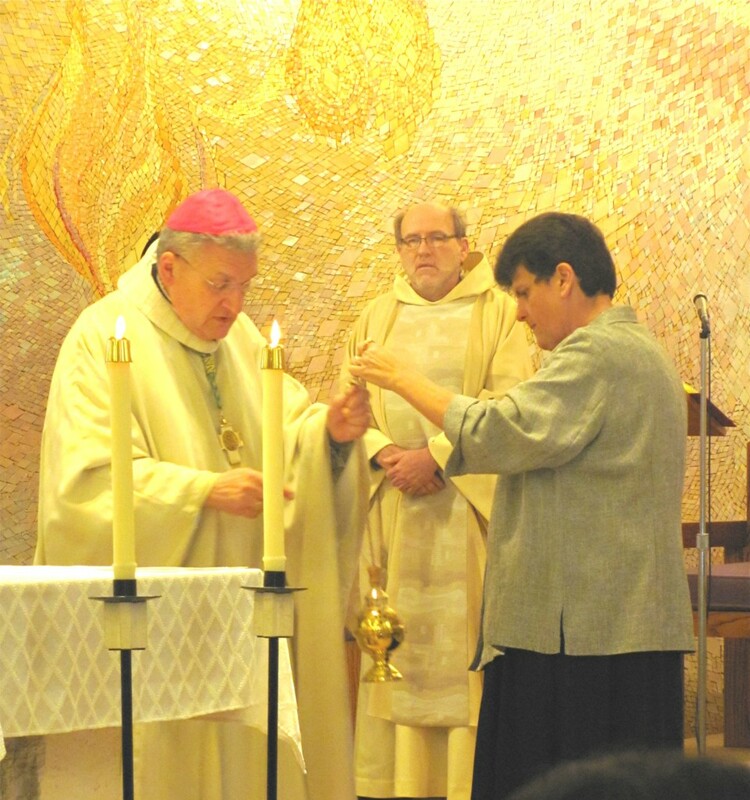 The following day, a group of our Sisters traveled to Cardinal Wuerl North Catholic High School for a special Mass celebrated by Bishop Zubik for the deceased men and women religious of the diocese. Sister Grace Fabich, General Superior, read the names of our Sisters who had died during this past year. 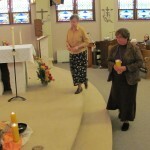 As she did so, Sister Diane Smith, Assistant General Superior, placed a candle among the candles representing the deceased of other congregations.